No doubt Paul McCartney only intended it as a witty one-liner. 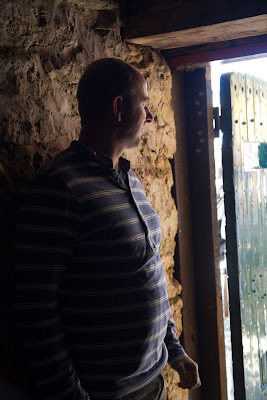 But when he called this place “the rottenest island I’ve ever been on”, he was neither the first nor the last to give Rottnest Island a bad name. It started with Dutch sailors who bumped into the West Australian coastline, sometimes literally, in the 16th and 17th centuries. 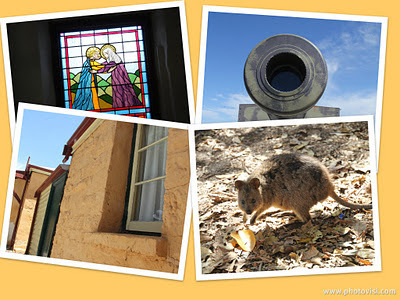 Seeing the marsupial quokkas in large numbers on this island, they called it “Rottnest”, meaning rat’s nest. How they mistook a 3-4kg hopping marsupial for a rat is beyond me. But then I have never been at sea for months or years at a time. It does strange things to men. So “Rat’s Nest” it became, and that was just the start of its ignominy. In the late 19th century the island, about 5km off the coast, became infamous as a largely Aboriginal prison. On our visit we hear stories about Wadjemup, “place across the water” in the Noongar language, from Lennie, a Noongar man. He tells us how the Rottnest prison, built using mainly Aboriginal prisoner labour, held large numbers of Aboriginal men and boys. Many were imprisoned for breaking laws they could not even comprehend. As we look over the water towards the mainland, Lennie asks us to imagine how those men would have felt when they could see their home camp fires by night. I am far from agreeing with the ex-Beatle about the island. It is a beautiful place, with miles of stunning beaches and coastline lapped by the azure tints of the Indian Ocean. And it has a fascinating history and an enviably laid-back feel to it. But the fraught and under-told Aboriginal history does sit awkwardly alongside the “million miles from care” tourism tag that “Rotto” – as most locals call it – carries. There are other unacknowledged discrepancies like this in the west. 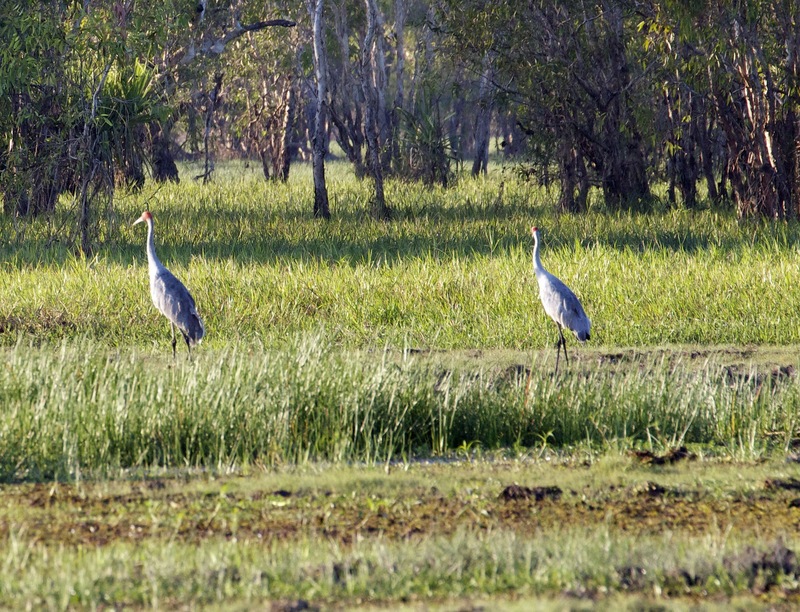 It appears to be feeling little of the economic uncertainty hitting the east of Australia. Perhaps the enjoyment of prosperity in an enviably beautiful place is able to paper over cracks that might elsewhere be acknowledged. 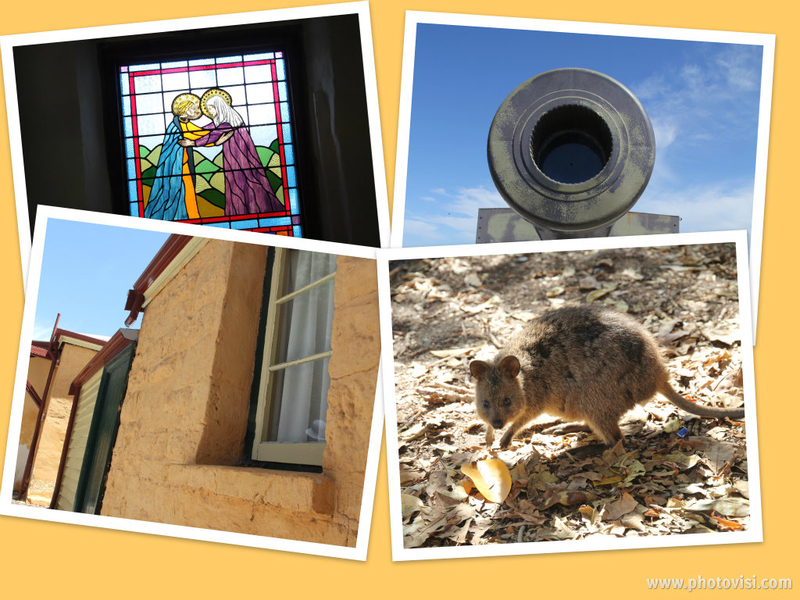 I had earlier heard stories of the cruel and ignorant treatment of quokkas on Rottnest. 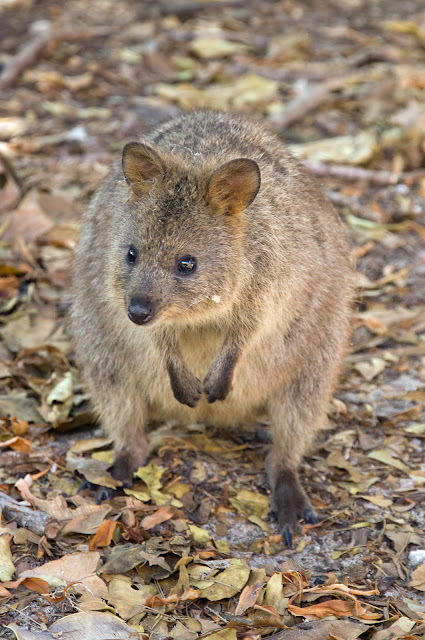 During drunken end-of-year trips to the island, local youths had invented quokka soccer, a “game” that included these comely little marsupials being kicked to death “for fun”. It made international news in 2003, after which local authorities vowed to crack down on such behaviour. Despite their maltreatment, the quokkas on Rottnest aren’t fazed by human presence. I stand and watch a group resting in the shade of a shrub. Occasionally one hops out to prod and snuffle at the ground. To my Tasmanian eyes it is like a smaller version of our pademelon. 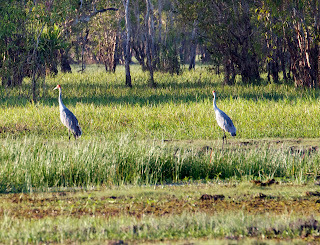 Its movements, its pear-shape, its tapered snout, are all similar to my back-yard “paddies”. Apart from size, only its sandier colouring and noticeably more rounded ears are standout differences. I stand quietly watching, taking the odd photograph, but mostly simply marvelling at the compact completeness of this wee beast. Its sweetly furred face, set with dark liquid eyes and a matching snout tip, would surely beguile anyone with a scintilla of creature feeling. I consider again how authorities have responded to quokka cruelty. Somehow their message not to get “blotto on Rotto” seems as much to encourage as to discourage the kind of drunkenness that unleashes the dumb brute inside of us. Or is that being unfair to brutes? We’d spent two restful nights at a great campsite, and half a day blissfully exploring upstream. The weather had cleared and was fine and mild. What could possibly taint our time in this beautiful place? Shortly after seven in the morning Tim wandered over as we emerged from the tent. Pointing downstream, he suggested we should have a look. We pushed through bracken, clambered over and around a fallen tree, and there it was. The actual second Douglas River campsite. It sat high on the river bank, with direct river views, filtered sun, sitting logs and cleared communal eating areas. Perfect! Apart from castigating ourselves for the eejits we’d been, we did the only other thing we could sensibly do. 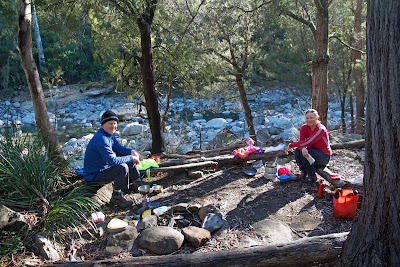 We carted our gear the whole 20 metres to the “new” campsite and enjoyed breakfast at the best address in the neighbourhood, smiling sheepishly as we basked in its sun, sounds and sights. When you camp by a river, whether at the wrong or right site, your walk from there is likely to be uphill. At least we were right on that count. 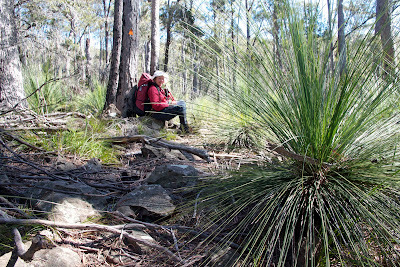 A steep climb for a little over an hour started to bring us into country full of grass trees (Xanthorrhoea australis). If plants can have characters, then grass trees are the kind that would wear striped suits with loud bow ties! Starting as small clumps of spiky grass-like leaves (hence their common name), they are notoriously slow growers, advancing perhaps only a few centimetres per year. 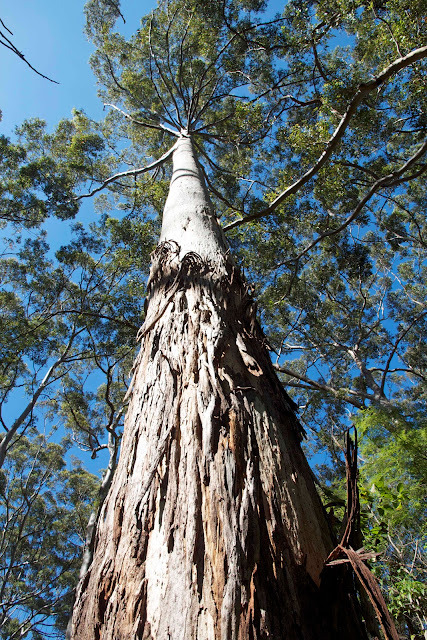 Plants develop a trunk as they grow older. Xanthorrhoea recover strongly after fire and other set-backs, often responding with a quirky growth habit, such as bent or multiple trunks, or crazily crooked flower spikes. When/if they develop a trunk, the elevated leaf clump comes to resemble a grass skirt, while the flower spikes projecting above the skirts have a spearlike look. 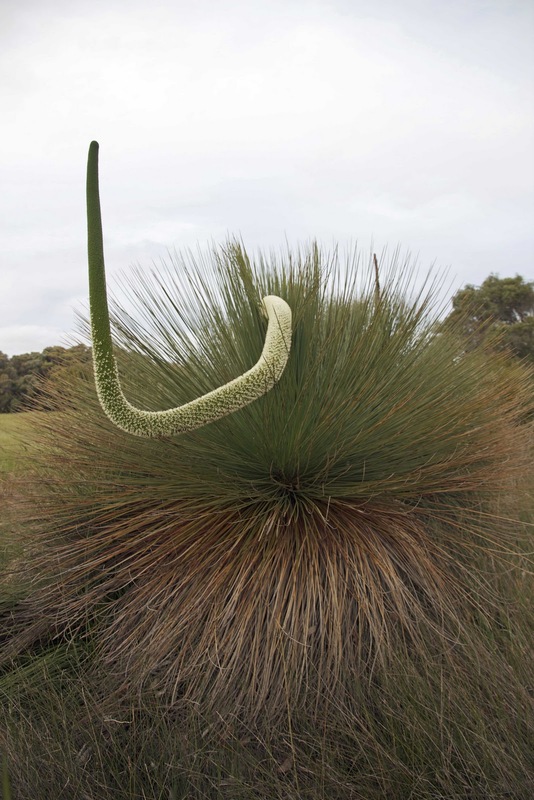 It was the spears protruding out of fire-blackened trunks that led Europeans to call Xanthorrhoea “black boys”, a name now considered offensive. On this section of the track I was more than once convinced there was a walker coming towards us, only to find I’d seen a grass tree in my peripheral vision. 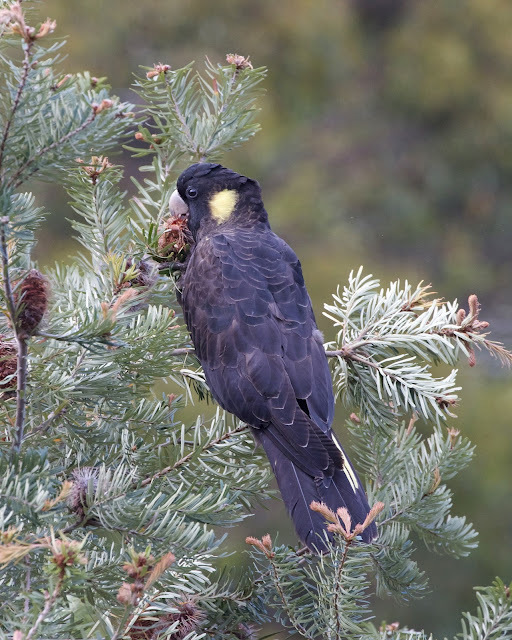 We enjoyed meeting these characters of the Tasmanian bush, and the change in vegetation they brought with them. 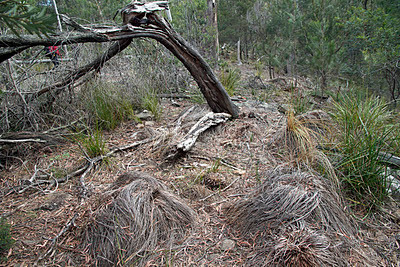 But as we moved south down the track, part of which is an old vehicular track, we started to find clumps of dead and dying grass trees. It was not the result of drought or fire; the usual suspects in Australia. 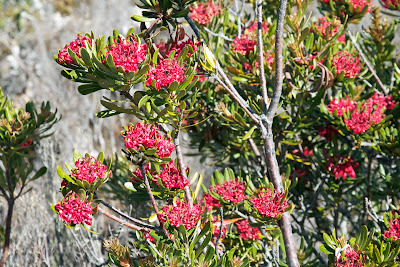 It’s been caused by the fungus-like plant disease Phytophthora cinnamomi (sometimes called dieback or cinnamon fungus). 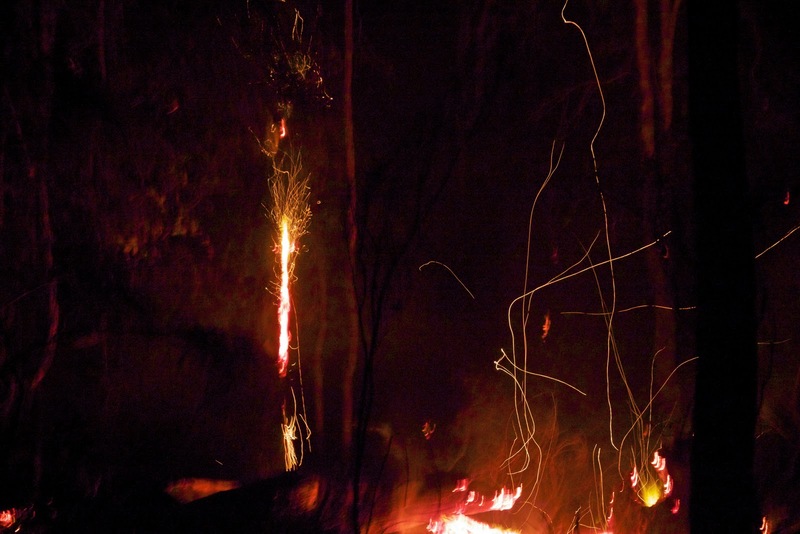 As we walked south the carnage grew, as grass trees, and other species such as banksia and she-oaks, were dead and dying along the track. The pathogen is introduced and spread largely via human action. It spreads via mud on tyres, boots and camping equipment. The north-south only direction of this walk is one way in which its spread can be confined: that and the careful cleaning of gear that’s been in touch with soil or mud in infected areas. The haunting aspect of this disease is that its effect is insidiously selective. 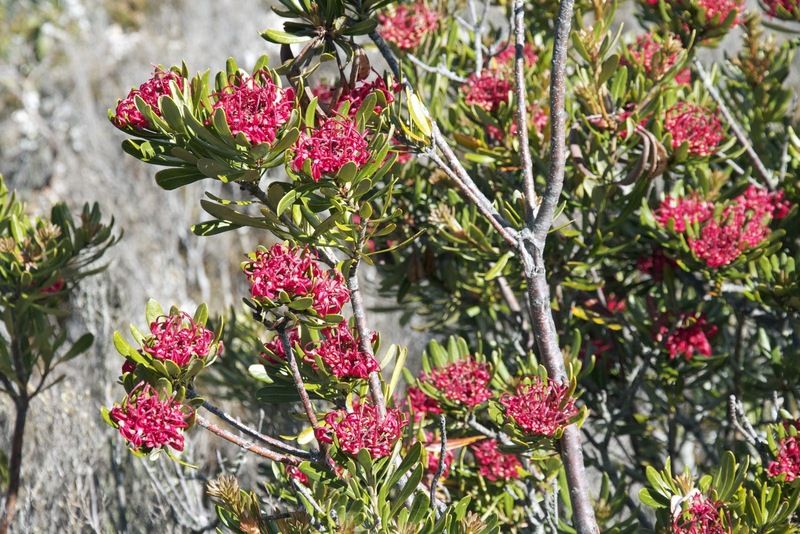 In the long-term the affected bush will still be populated by plants. It may look perfectly healthy, but that will be an illusion. It will be made up of only by those species that are resistant to the disease. Gone will be those species – like grass trees – which are highly susceptible to Phytophthora. One day, a few weeks after the Leeaberra walk, I am walking down the Hobart Rivulet Track on my way to work. Passing the primary school my children once attended, I hear the familiar sound of children playing. At this distance the voices are generic, indistinct, and I imagine my children playing there still. I imagine the always-child in me playing there too. I become wistful about time passing, things moving on – even in two generations. It gets me thinking about the legacy we have left in Tasmania, after less than ten generations. 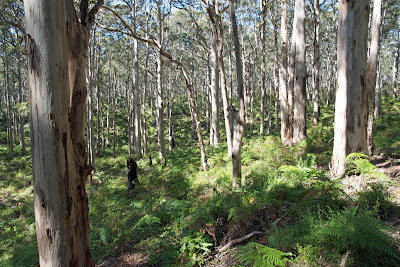 Down the Leeaberra Track, for instance, where is the sound of the real black boys playing? Further down the track will we lose the grass trees too? Change may be a necessary part of life, but do we want to be responsible for change that is harmful; change that impoverishes; change that is preventable?